All rugs will be taken back to our state-of-the-art rug cleaning facility in Winston-Salem to be thoroughly cleaned. Are you thinking about getting your rugs cleaned? We here at Steam Source know how important your oriental rugs are to you, and we make sure to take extra special care of them with our delicate 5-step rug cleaning process. Our oriental rug division makes the oriental and area rug cleaning process quick and easy for our clients. We offer rug pick-up, delivery and installation! During your scheduled pick-up in Winston-Salem, North Carolina, one of our rug cleaning specialists will give you a thorough and detailed inspection of your oriental and area rugs that are in need of cleaning. During this time, our specialist will inform you of our cleaning process and any helpful information in regards to the cleaning of your rug. We will diagnose any damaged areas or areas of concern your rug may have incurred over time, as well as suggest possible solutions for you. All rugs will then be taken back to our state-of-the-art rug cleaning facility to be re-inspected and then will proceed to the cleaning process. 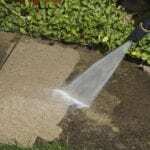 Badgered: Front and back side are beaten to loosen dust, dirt and allergens. Vacuumed: Front and back side are vacuumed to remove dust, dirt and allergens. Dry Cleaned: Our specially formulated dry cleaning solution is applied and buffed out at high speed. Steam Cleaned: Using the hot water extraction method. Upon completion of your rug cleaning, you will be contacted by a Steam Source representative to schedule delivery. Rug orders are completed within 5 to 7 business days, and we are proud to say that this turnaround time is much faster than many of our competitors. For a small additional fee, we also offer “rush orders” for quicker deliveries. All rug orders are wrapped in plastic prior to delivery in an industrial protective plastic, free of charge. Our insured cleaning specialist will provide the customer a courtesy phone call 30 minutes in advance to let them know they are on the way to complete the delivery and installation process. Many companies can disregard how important the final rug installation can be to a homeowner. We realize our clients took time to place the rugs in a desired location in their home. We go to great strides to ensure all rugs are installed to meet the individual needs of each customer and every rug is placed in its rightful position. 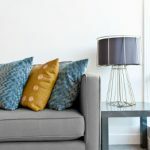 We will move any and all furniture at your request and want to make this process as simple and easy for you as possible. 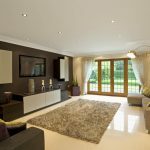 Our goal before we leave a client’s home is to make sure the customer is 100% satisfied with our service, from the initial pick up to the final installation. We love to hear feedback from our clients on how much they enjoy their newly restored rug(s)! We also offer a cushion grip pad to place underneath your rugs! This padding will not only cushion the rug, making it more comfortable to walk across, but it will also help prevent the rug from sliding around or possibly damaging your hardwood floors! Please give us a call today and let us take a look at your area or oriental rug(s) for a free estimate! While you’ve got us on the phone, don’t forget to ask us about our cushion grip pad to really take your rugs to the next level. 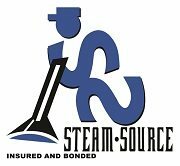 At Steam Source, we offer rug cleaning services in Winston-Salem, Greensboro, Kernersville, Clemmons, Advance, High Point, Mocksville, Pfafftown, Jamestown, Oak Ridge, Summerfield, Lexington, King, Walkertown, Colfax, Lewisville, Welcome, Bermuda Run, Thomasville, Yadkinville, and Walnut Cove, North Carolina.